French pharma company AB Science has announced that the European Medicines Agency has granted orphan drug status to masitinib for the treatment of amyotrophic lateral sclerosis (ALS), also known as Lou Gehrig’s disease. Masitinib is an orally administered tyrosine kinase inhibitor that targets mast cells and macrophages, through inhibiting a limited number of kinases. AB Science indicates its mode of action makes is a candidate in oncology, inflammatory disease and in certain diseases of the central nervous system. It has performed well in trials for the degenerative ALS, which causes muscles to decrease in size. In ongoing Phase II/III trials, masitinib was used in combination with riluzole and showed significant benefits in an interim analysis compared to riluzole alone. There is, of yet, no cure for the disease but treatment riluzole can extend life by several months. It has already been approved in the EU. 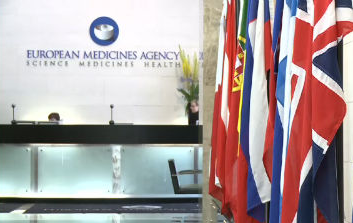 AB Science has welcomed the EMA’s orphan drug designation, highlighting how stringently the EMA administers the designation, compared to the US FDA. To qualify, AB Science had to demonstrate significant benefits that could be derived from masitinib, as well as demonstrate its efficacy alongside riluzole. The drug has already been granted orphan status by the FDA. ALS recently gained much notoriety due to the ubiquitous Ice Bucket Challenge, which filled our social media timelines around two years ago. It raised well over $100 million for the ALS research. Recently, it emerged that some of the funding used helped researchers make new genetic discoveries, as to how the disease develops.